At this web site we are collecting photography of armored vehicles and artillery pieces at museums in the United States. The initial collection consists of vehicles at the two divisional museums and elsewhere on Ft Hood, Texas. We also have photos of the Aberdeen Proving Ground, and Ft Lewis Washington as well as Russian Central Army Museum and World War II Museum in Moscow, the Russian Armor Museum at Kubinka, the Russian Artillery Museum in St. Petersburg and the Ukrainian military museum at Kyiv. The Museums of the 4th ID and First Cavalry have extensive, excellent displays inside their buildings, depicting the lengthy, distinguished histories of the divisions and their heroic personnel. But here we show mostly the outside exhibits that include not only their American armored vehicles but also many captured foreign vehicles. US M-10T, tank destroyer, 3 inch M-7 gun, 50cal MG, 38 tons, Sherman chassis, crew 5, Sept 1942, 4th Inf Div Museum. US M-7B2, Priest, SP 105mm howitzer, 50 cal mg, crew 7, has higher pulpit than M7, only 127 B02 made,4th Inf Div Museum. US M7, Priest, 105mm howitzer, 50 cal mg, 25 tons on M-4 chassis, 1941, total 4267 produced, 4th Inf Div Museum. US M4A3E8 Sherman, 76mm gun, 2-30cal mgs, 1-50cal mg, crew 5, 35 tons, 26mph on road, standard until 1955, made in 1944-45, 4th Inf Div Museum. Russia tank model? ?, 4th Inf Div Museum. US M-74 Armored recovery vehicle, 1941-45, on M-4 chassis, predecessor of M-88, 1st Cav Div Museum. US Helicopter - 1st Cav Div Museum. View of row of tanks, 1st Cav Div Museum. US M-7 Priest, 105mm howitzer, 50 cal mg, 25 tons, 1941, on M-4 chassis, 1st Cav Div Museum. Russia BTR60-PB, 1961-82, captured by Israel in 1967, PT-76 tank in background, 1st Cav Div Museum. Russia BMP-1, 1960's, 73mm RA20 gun, crew 3-8, captured by Israel 1967, 1st Cav Div Museum. Russia T-55, changed turret from T-54, 1947, 1st Cav Div Museum. Russia 2S1- 122mm SP howitzer, Gvozdika, captured from Iraq, 1st Cav Div Museum. US M-28 Chaffee, 75mm gun, 2-30cal mg, 1-50cal mg, 20 tons, crew 5, 35 mph, 1943, best lt tank of WWII, 4415 produced, service in Korea, 4th Inf Div Museum. US M-18 Hellcat, tank Destroyer, 76mm M1A gun, 1-50 cal mg, 18.5 tons, crew 5, 55 mph, used 1944-5. 4th Inf Div Museum. US M-41 Walker Bulldog, 76mm gun, 1-30 cal mg, 1-50 cal coax mg, 25 tons, 40 mph, crew 4, replaced M-24, production in 1950, 5500 made, 4th Inf Div Museum. US M-47 Patton, 90mm gun, 2-30 cal mg, 1-50 cal mg, 48 tons, 37 mph, descendent of M-46, redesigned turret, new gun control, 8676 made, sloped armor, improved 90mm gun, general use after 1952, 4th Inf Div Museum. Russia, D-20 towed 152mm howitzer, Petrov design bureau, and a Chinese S-60 AAA gun, 1st Cav Div Museum. US Vulcan 20mm multibarrel AA gun M163A1, 1960's, 1st Cav Div Museum. Russia 14.5 mm 4-barrel AA mg, ZPU-1, 8000 meters, 1st Cav Div Museum. US M-8 Armored scout car, 1942, 56 mph, 8 tons, 1st Cav Div museum. US M-3 Lee, 4th Inf Div museum. US M-3 Stuart, 37mm gun, 3-30 cal mg, 14 tons, crew 4, 36 mph, 4th Inf Div museum. US M4A1 Sherman, 75mm gun, 2-30 cal mg, 1-50 cal mg, crew 5, 31 tons, 4th Inf Div museum. US, View of tanks, Lee, Sherman, 3 Stuarts, 4th Inf Div museum. US M-44 SP 155 howitzer, crew 5, 31 tons, 1-50 cal mg, 35 mph, produced in 1952, 4th Inf Div Museum. US M-40 155 mm SP howitzer, produced in 1945, 311 made, two used in WWII, used also by UK. 4th Inf Div Museum. US M-40 155 mm SP howitzer, crew 8, 41 tons, 24 mph, 4th Inf Div Museum. Italy Field gun 75 mm, 1906, crew 4, 1.4 tons, range 7600 meters, World War I, 4th Inf Div Museum. US T-43 Heavy Tank, M-109, 120 mm gun, 2-50 cal mg, crew 5, 62.5 tons, 15 mph, 1952, 200 produced, 4th Inf Div Museum, . US T-43 Heavy Tank, M-109, under powered back up tank destroyer, replaced in 1963 by M-60, 4th Inf Div Museum. Russia 45mm AT gun, M 1942, used into 1970's by Warsaw Pact and Korea, 4th Inf Div Museum. Russia - Germany PAK 36, 76.2 mm field gun, 1.2 tons, 10,936 yrds range, 4th Inf Div Museum. Russia - Germany 76.2 mm field gun, PAK 36, used by Rommel in Africa, 4th Inf Div Museum. US M-8 Light Scout Car, 1st Cav Div Museum . US M-47 Tank, 1948, 8676 produced, replaced in 53 by M-48, 1st Cav Div Museum. Russia 2ST122 howitzer, 1st Cav Div Museum . Russia D-20 howitzer, 1st Cav Div Museum. Russia S-60, AAA gun, 1st Cav Div Museum. Russia T-55 Tank, 1st Cav Div Museum. Brazil, E-11 Urutu APC, 1970, 1st Cav Div Museum. France 17 AMX 10-P, 1970's, 20mm cannon, 7.62 cal mg, 1st Cav Div Museum. France 17 AMX 10-P, 1st Cav Div Museum. Russia BMP, armored fighting vehicle, 1st Cav Div Museum. Russia T-72 Tank, 155mm gun, 2-3 cm foam lead liner, 1st Cav Div Museum. Russia T-72 Tank, 1st Cav Div Museum. China T-69 Tank, 1st Cav Div Museum. Russia PT-76 lt tank, 1st Cav Div Museum. US Engineer vehicle EM 728, 1st Cav Div Museum. US M-7 Priest, SP 105mm howitzer, 1st Cav Div Museum. Russia - T-72 Tank, 1st Cav Div Museum. Japan captured US M-3 Stuart, 1st Cav Div Museum. US Engineer Vehicle EM 728 165 demo gun HESH projectile. US Engineer vehicle, 1st Cav Div Museum. US M60 Tank, 1st Cav Div Museum. US M60A1 Rese Tank, laser, 105mm gun, 7.62 cal coaxial mg, 12.7mm AAA mg, 1st Cav Div Museum. US M60A1 Rese Tank, 58 tons, 50 mph, crew 7, 1st Cav Div Museum. US M-1 Abrams Tank, 1st Cav Div Museum. Tiger symbol on M-4 Sherman tank, 1st Cav Div Museum. US M-4 Sherman tank, Tiger symbol on front glacis, 1st Cav Div Museum. US M-41 Walker Bulldog Tank, 1st Cav Div Museum. US M-7 Priest 105 howitzer, on M-4 Chassis, 1st Cav Div Museum. Line of armored vehicles, 1st Cav Div museum . US M-43 SP howitzer, 4th Inf Div Museum. US M-60 Tank, unit hqs. US M-52 SP 105mm howitzer, 1948. US M-3 Lee (Grant)Tank, 4th Inf Div Museum . US M3 Stuart Lt Tank, 37mm gun, 4th Inf Div Museum. US M3A1 Stuart Lt Tank, 37mm gun, 14 tons, British call it Honey, Aug 1941, added turret floor, 4th Inf Div Museum . US M5A1 Stuart Lt Tank, 37mm gun 3-50 cal mgs, 17 tons, 36 mph, 1943, 4th Inf Div Museum. US M4A1 Sherman Tank, 75mm gun 2-30 cal 1-50 cal mgs, 31 tons, crew 5, 4th Inf Div Museum. US M4A3E8 Sherman Tank, 76mm gun 2-30 cal 1-50 cal mgs, crew 5, 26 mph, standard until 1955, 4th Inf Div Museum . US M-7 Priest, 105mm howitzer 1-50 cal mg, crew 7, 25 tons, M-4 chassis, 1941, 4267 produced, 4th Inf Div Museum. US M7B4 Priest, SP 105 howitzer 1-50 cal mg on higher pulpit, crew 7 25 tons, 4th Inf Div Museum. US M7B4 Priest, only 127 of the B4 produced, 4th Inf Div Museum. US M-10 Achilles Tank Destroyer, 3 inch M7 main gun 1-50 cal mg, 30 tons, crew 5, Sept 1942, Sherman chassis, 4th Inf Div Museum. US M-10 Achilles Tank Destroyer, 17 # mark V gun 1-50 cal mg 35 mph 30 tons, British rearmed with larger gun, 4th Inf Div Museum. US M-18 Hellcat Tank Destroyer, 76mm main gun 1-50 cal mg, 18,5 tons crew 5 55 mph, 4th Inf Div Museum. US M-18 Hellcat Tank Destroyer, used 1944-45 for its speed and big gun, 4th Inf Div Museum. US M-24 Chaffee Tank, 75mm main gun, 2-30 cal 1-50 cal mgs, crew 5, 35 mph, 4th Inf Div Museum. US M-24 Chaffee Tank, limited use in WWII, more in Korea, 4th Inf Div Museum. US M-47 Patton Tank, 90 mm main gun 2-30 cal 1-50 cal mgs, 48 tons, 37 mph, 4th Inf Div Museum. US M-47 Patton Tank, descendent of M-46, redesigned turret, new improved 90mm gun and gun control, 8678 made, slope armor, 4th Inf Div Museum. US M-41 Walker Bulldog Tank, 76mm main gun, 1-30 cal 1-50 cal mgs, 25 tons, 40 mph, crew 4, 4th Inf Div Museum. US M-41 Walker Bulldog Tank, replaced M-24 1950's 5500 made, 4th Inf Div Museum. US M-48 Patton Tank, 90mm main gun 1-30 cal 1-50 cal mgs, 49 tons, crew 4, 30 mph, 1952, 4th Inf Div Museum. US M-48 Patton Tank, developed from M-47 elliptical hull turret 9707 made combat in Vietnam, India, Pakistan, 4th Inf Div Museum. US Bradley AFV, 4th Inf Div Museum. US M-60 Patton Tank, 105mm main gun 1-50 cal mg 1-7.62 cal coaxial mg 51 tons 30 mph, 1960's, crew 4, 4th Inf Div Museum . US M-60 Patton Tank, production end 1962, then M-60A1, main tank until the Abrams, 4th Inf Div Museum. US, T-43 Heavy Tank, 4th Inf Div Museum. US, Helicopter Cobra, 4th Inf Div Museum. US M-60 Patton Tank, 4th Inf Div Museum. US M-41 Walker Bulldog Tank, M-47 Patton behind it, 4th Inf Div Museum. US M-47 Patton Tank, 4th Inf Div Museum. US M-3 Lee Grant Tank, 4th Inf Div Museum. US M-40 155 SP howitzer, long barrel, 41 tons, 4th Inf Div Museum. US M-84 4.2 inch Mortar Carrier, 1-50 cal mg 20 tons 27 mph variation of M-59 APC 1957, 4th Inf Div Museum. US left M-59 APC, 1-50 cal mg, 20 tons 32 mph, 1950's amphibious replaced by M113 in 1959 4000 made - right M-75 APC, 21 tons 1-50 cal mg, 44 mph design 1945 standard 1952 replaced in 1953 by M-59 1700 made, 4th Inf Div Museum. Germany PAK36 gun, 4th Inf Div Museum. Germany, PAK 40 gun, 1938, range 8400 yards, 4th Inf Div Museum. US M-16 half-track multipurpose gun carriage, 1943-44, 9.5 tons 4-50 cal mg 2877 built, AA mgs 4 barrels, 4th Inf Div Museum. US Line of (right to left) M3, M3A1, M5A1 Stuart Tanks, range 60 miles, carry 103 rounds 35mm main gun ammo, 5500 rounds 30cal mg ammo 350 rounds SMG ammo, later models had turret floor, 4th Inf Div Museum. 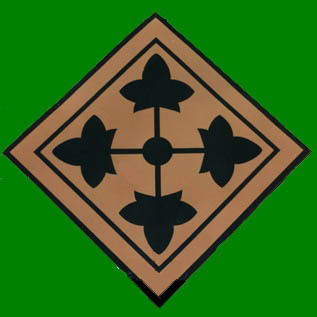 US, 4th Infantry Division Patch on museum. US M7 Priest, 1st Cav Div Museum. US Sherman Tank with Tiger painted on glacis, 1st Cav Div Museum. Brazil, EE11 URUTU 1970, 14.3 tons, crew 3 passengers 3, 1st Cav Div Museum. US M-113A2, APC, late 1950's 12 tons, 300 mile range, 42 mph, crew 2, passengers 11, 1st Cav Div Museum. US, Engineer vehicle, 1st Cav Div Museum. US M-60 Patton Tank, 1st Cav Div Museum. US M-1E1 Abrams Tank, 1980's 1200 gun, 50 cal mg, speed 45 mph, range 250 miles, 60 tons crew 4, 1st Cav Div Museum. US M-1E1 Abrams Tank, used in Iraq, 1st Cav Div Museum. Japan, 75mm mountain gun, captured in Philippines, range 7130 meters, 1st Cav Div Museum. Japan 47mm AT gun 1941, 1st Cav Div Museum. Russia, M 1942 45mm AT gun, developed in 1932, 42 model has longer barrel, stronger carriage, range 4400 meters, 1st Cav Div Museum. US M-114 Command Recon vehicle 1960's crew 3 passengers 4 7 tons 1st Cav Div Museum. 1st Cav Div Patch at museum. US M-3 Lee Grant Tank, 4th Inf Div Museum . US Two M-7 and M7B4 Priests, and Achilles, 4th Inf Div Museum. US Line of Stuart tanks M-3, M3A1, M5A1, and M-7 Priest, 4th Inf Div Museum. Captured armor and other vehicles in maintenance. Group of captured vehicles in maintenance for museums. US M-84 Modern command vehicles, Ft Hood motor pool. M3A1 Stuart Lt tank, 1st Cav Div Museum. Interior of 4th ID Museum - display manikin of Sadaam Husein as he was captured by 4th ID soldiers. Interior of 4th ID Museum - display the uniform worn by General Odenario, who was the CG of 4th ID in Iraq. 4th ID Museum - outdoor display - statue of soldier and young girl before the boots and rifle of a comrad. 4th ID Museum - outdoor display - overall view of much of the memorial including the statue of soldier and young girl before the boots and rifle of a comrade. 4th ID Museum - outdoor display - Plaque honoring division members killed in an aviation accident. Ft Hood, Texas, armor vehicle on street corner. Ft Hood, Texas, armor engineer vehicle on street corner. First Cavalry Division Museum - Soviet 2S-1 Self propelled 122 howitzer. First Cavalry Division Museum - Soviet D-20 Self Propelled 155 gun- howitzer. First Cavalry Division Museum - Soviet, D-60 152mm howitzer . First Cavalry Division Museum - Chinese, S-60 57mm Anti-aircraft gun . First Cavalry Division Museum - Plaque - Soviet, Armor recovery vehicle on a T54-55 tank chassis. First Cavalry Division Museum - Soviet, Armor recovery vehicle on a T54-55 tank chassis. Plaque - First Cavalry Division Museum - US. M3A1 Personnel Carrier, Half-tracked. 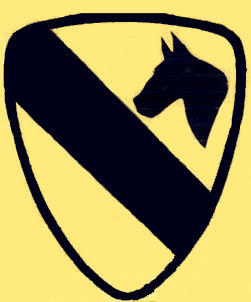 First Cavalry Division Museum - US. M3A1 Personnel Carrier, Half-tracked. First Cavalry Division Museum - US - Self-propelled howitzer on street corner. First Cavalry Division Museum - Chinese Main Battle Tank, Type 60 - copy of Soviet T55. Return to Xenophon. Go to Russian Museum of Armored Forces, Kubinka. Go to the military museum in Kyiv, Ukraine. Go to the Museum of Artillery, Engineers and Signal Troops in St Petersburg.